hd00:06Trevi fountain in Rome, Italy. 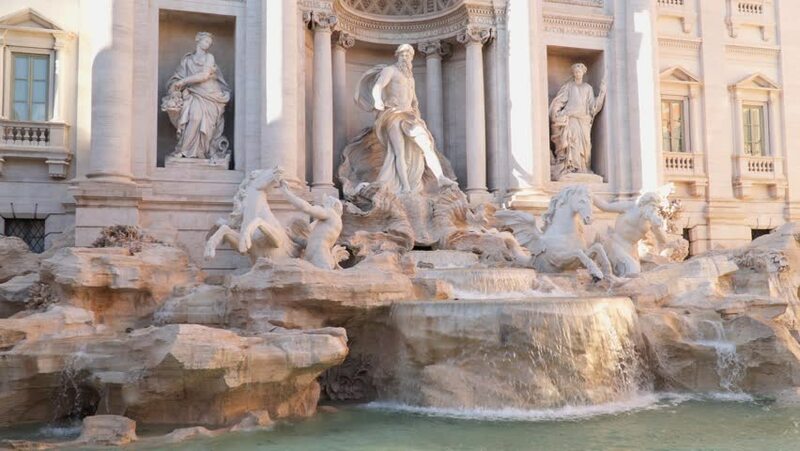 hd00:14The Trevi Fountain, a famous Baroque fountain and one of the most visited landmarks of Rome. hd00:22Trevi Fountain Rome Italy (HD). Trevi Fountain in Rome Italy seen from an angle. All signs and people faces on the left side rotoscoped out. Ambient audio with people chattering and water dropping.